Disclosure: I received coupons in exchange for this post. As always, all opinions expressed are my own. When I moved to this area, I right away learned of a little restaurant that is very kid friendly--Fazoli's. They actually started out not far from Cincinnati in Lexington, KY, in 1988 and have since expanded to 26 states with over 200 restaurants. And now, they are adding to their success with a line of frozen appetizers and snacks that have the same restaurant quality people have come to love. Their products are made fresh and frozen quickly to preserve the great taste and quality. They offer Six Cheese Toasted Ravoli (yum! ), Lasagna Fritata, Chicken Alfredo Flatbread, Parmesan Boneless Chicken, and Mozzarella Stuffed Mini Breadsticks. As they say, from freezer to fantastic! My kids go nuts for these and I love having something warm for them for an after school snack. 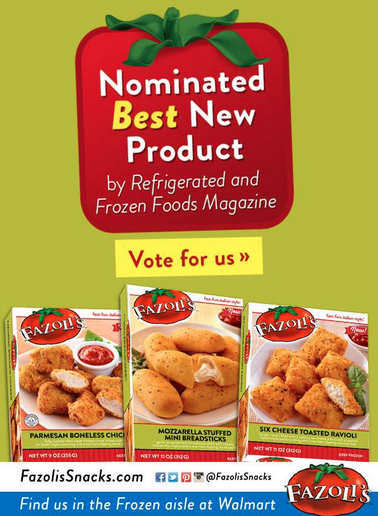 Anyway, they were recently chosen to compete in a Favorite New Product Poll for Refrigerated and Frozen Foods and you can vote for Fazoli's Snacks by visiting HERE. 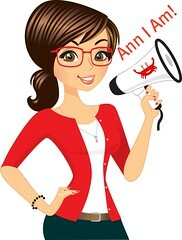 You can also get a 50¢ off coupon by visiting HERE. You can find Fazoli's Snacks at Walmart.